Address: 9009 West Sunset Blvd. 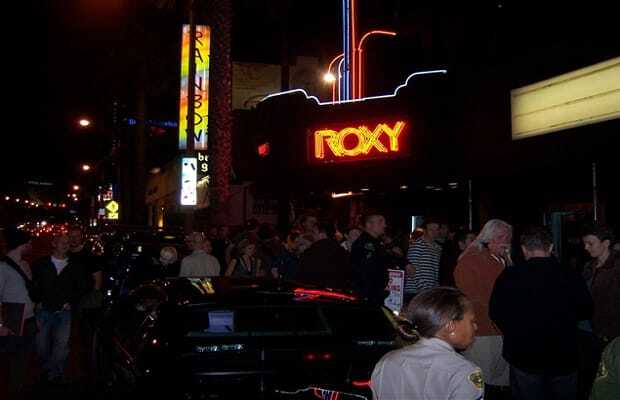 Is there anyone that didn&apos;t record a Live at the Roxy show at this famous Los Angeles nightclub? From Pee Wee Herman to Bob Marley to Jay-Z and Linkin Park, the spot&apos;s celebrity fan base stretches across all genres. Those seeking a change of scene from the live tunes on the main floor might want to pay a visit to On the Rox, the venue&apos;s smaller-scale bar overlooking Sunset, which hosted many a Hollywood party—and on a grislier note, John Belushi, just before he OD&apos;d.